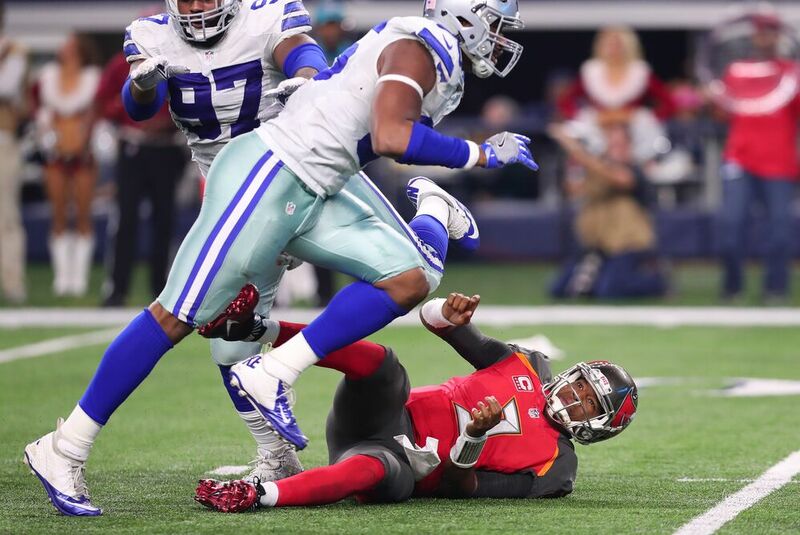 The Dallas Cowboys took another hit Wednesday when the team was told of defensive lineman David Irving’s suspension. Dallas Cowboys defensive lineman David Irving has been suspended for the first four games of the 2017 season for violating the NFL’s policy on performance enhancing drugs, according to ESPN’s Adam Schefter. The Cowboys expected the suspension after an unsuccessful appeal. While Irving won’t be able to play, he will be able to participate in practices before the regular season. Irving will be eligible to return to the roster on October 2. For Dallas, this is a tough loss. Its pass rush was their weak link last season, so losing another piece of it for a quarter of the season will be difficult to deal with. The Cowboys can make it through four games without him, but his contributions cannot be overlooked. Irving is not the team’s best rusher, but he will be missed. In his career, he has just 30 combined tackles in two seasons. However, he forced four fumbles for the Cowboys last season. He was a big part of why Dallas ranked third in forced fumbles in 2016. Additionally, he led the team in quarterback pressures with 26 over the course of the campaign. Irving was going to compete for a starting spot on the roster before it was reported he took an over-the-counter substance banned by the NFL. After this season, he will become an unrestricted free agent. Amazingly, this is the fourth straight season that Dallas has began with a defender being suspended. Randy Gregory will miss the entire season for multiple violations of the NFL’s substance abuse policy. The Cowboys hope to contend for a Super Bowl next season and this suspension could be an obstacle in their return to glory.